Area rugs…I’ve always had a love/hate relationship with them. Whether they’re wool or natural fiber area rugs, I have some mixed feelings about them. 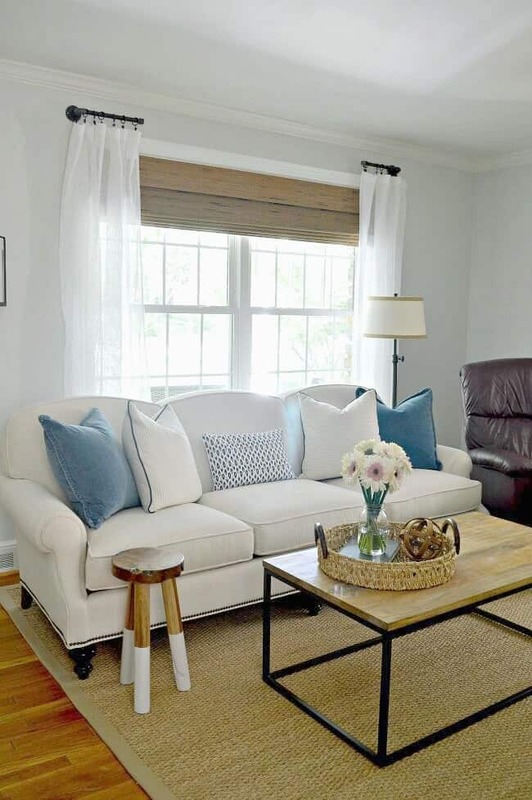 I love that they can add warmth, texture, color and pattern to an otherwise neutral space. They’re also great for softening hardwood floors and they can help anchor a space. There’s definitely a lot to love but they also have a few small drawbacks. My first “nice” area rug was a beautiful wool rug. I loved the colors and the softness that it brought to my room but I didn’t like the shedding. I vacuumed that rug weekly and waited for the shedding to stop but, sadly, it never did. Not even after 4 years. As a self-proclaimed neat freak it drove me nuts! Besides the fact that it shed, profusely, I sort of tired of the color and pattern. My style changes often and having a particular color and pattern rug was not a smart choice for me. Lesson learned. So, instead of buying another expensive wool rug, I researched other options. There’s tons of styles and materials available, but I was drawn to natural fiber area rugs. I loved the fact that it would add texture and warmth to my room and be neutral enough for any decor scheme. The two things that worried me about natural fiber rugs were the softness factor and, of course, shedding. I knew that they wouldn’t offer the same softness as a wool area rug, but would it be a deal breaker. I wouldn’t know until I tried one out. 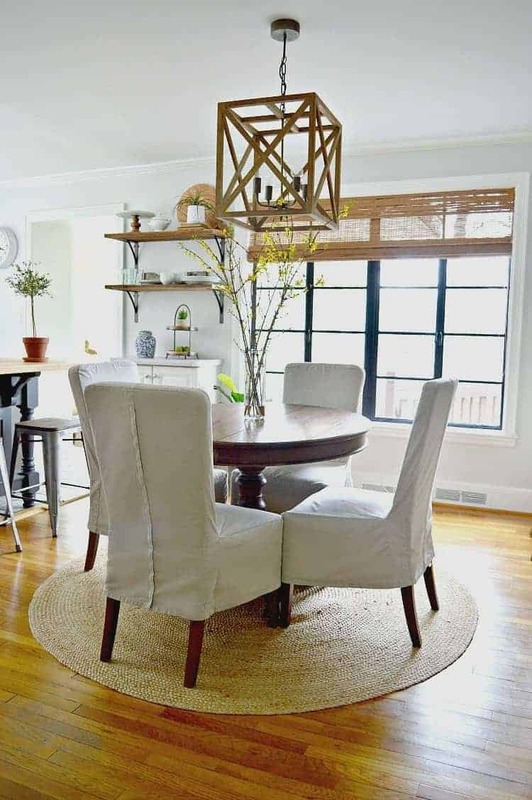 My first natural area rug was a round jute rug that I used under the dining table in our Illinois house. It was inexpensive and the perfect choice for our first try. It’s a great rug and has worn well these past 5 years. I did have a small tear in one of the seams but that was an easy fix. The issues that I did have with this rug were that it would pull easily and it shed. Not as bad as my wool rug, but I knew that my next rug had to do better. After more research and sample testing between sisal and seagrass, I ordered my next rug, an 8×10 seagrass rug. I like the fact that it was inexpensive (compared to wool), it’s durable, doesn’t pull, it’s stain resistant and, best of all, non-shedding. It did have a slight grassy odor when it first came but not enough to bother us, and it quickly faded. I’ve had my rug for 3 years now and I love it just as much as I did when we first got it. As for the durable and non-shedding claims? Our seagrass rug has performed well on both counts. No shedding and not one stain in 3 years, and the dog has been sick on it several times (sorry, just want to give you all the facts). If something has spilled on it, I just wipe it up and it dries without staining. If there is one drawback to seagrass is that it isn’t soft, not like wool anyway. It’s not uncomfortable to walk on by any means but it’s not plush. My husband actually enjoys walking on it when he has tired feet. He loves how it feels underfoot. 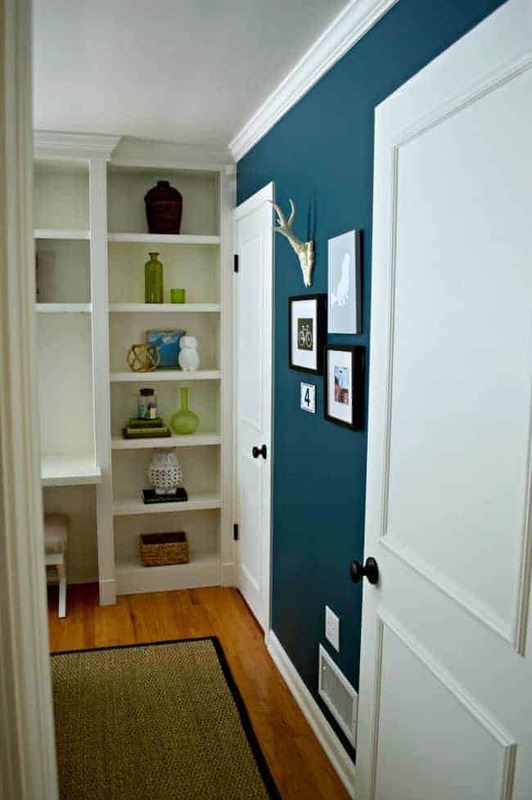 Another awesome reason to use natural area rugs is that you can layer another rug on top, for added color or interest. 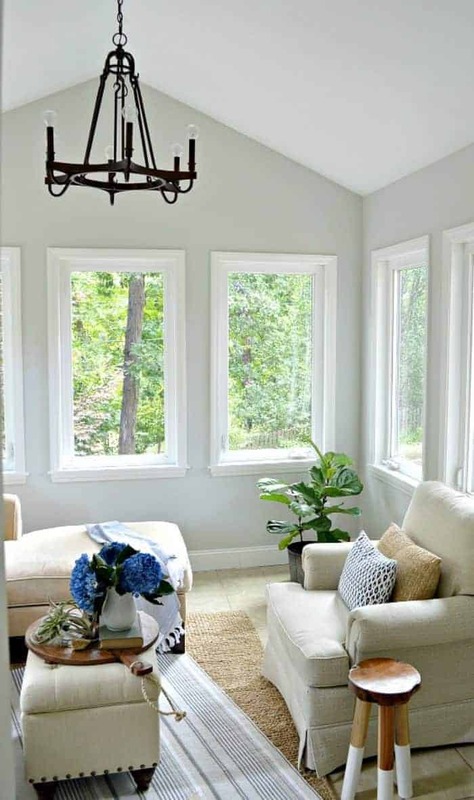 I haven’t done this with our seagrass rug but I have done it with the rug in the sunroom and I love the effect. 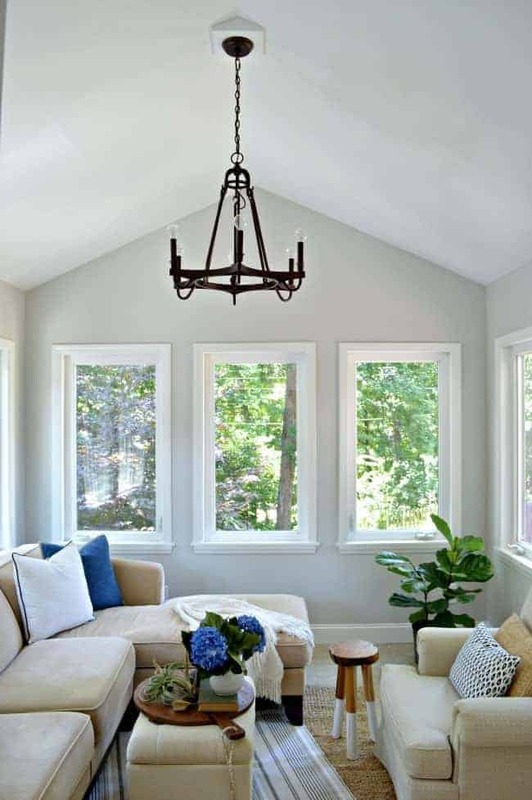 The rug in the sunroom is the Heathered Chenille Jute Rug that I bought for a steal at The Pottery Barn Outlet. I’ve had it for almost a year and it’s held very up well. It has shed a bit but nothing like my wool rug. There haven’t any spills or dog mishaps on this rug so I can’t report on staining. I’ll keep you posted. The great thing about this rug though, besides the texture, is that it’s really soft. I love it! So, my love/hate relationship with area rugs? I’m not so sure I would do wool any time soon, but natural fiber area rugs? Yes please! As a matter of fact, I’m looking to get two more, one for each guest bedroom. I guess you could say I’m hooked. 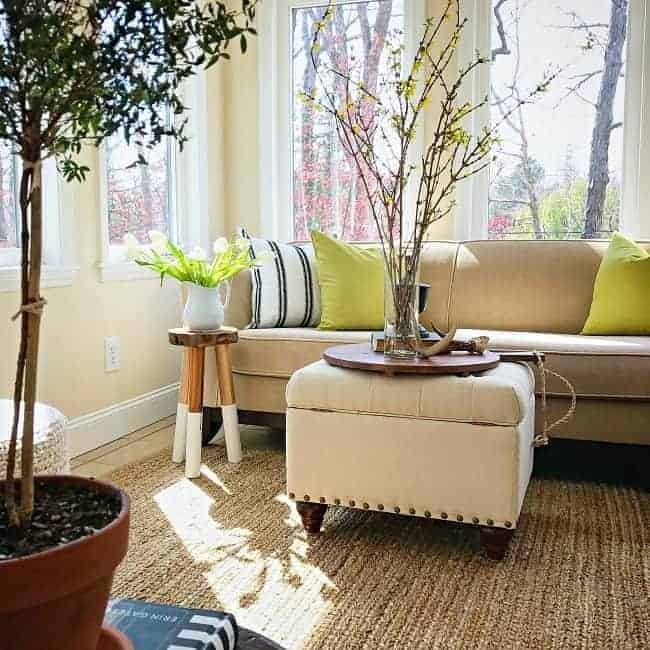 Do you have natural fiber rugs in your home? What are your thoughts on them? My thoughts and prayers to all of those affected by the hurricane and devastating flooding. I have never owned a natural fiber rug. My experience with them was in summer rentals at the Outer Banks. Based on that, they are not for me. I am a wool all the way girl despite the shedding. I am all about the color and the softness. I adore rugs as well but unfortunately with a puppy right now I’m having to do without so avoid them being destroyed. I love the look of the seagrass rugs. Your room is so pretty and fresh looking! Thanks Mary, I appreciate it! 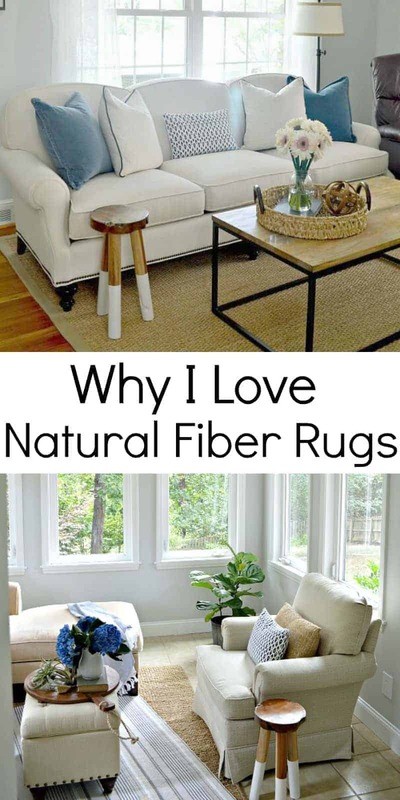 Thank you, i do have some natural fiber rugs and love them. I love your home. Aww, thanks so much Marlene! Natural fiber rugs are wonderful, aren’t they? So glad to hear that I’m not alone in my love for them. What a timely post, for me! Looking for my first natural rug, so thank you for the info! 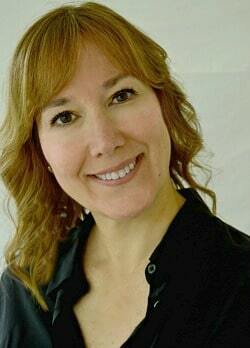 So happy to hear that this helped you, Jacki! Good luck with your search and thanks so much for stopping in. Hi, thanks for this post because I always feel torn in the same ways! My first natural fiber rug was a sisal and my husband hated that it was so hard on his feet. We also had a cat that was always vomiting hair balls (keeping it real) and those stains turned pink even when they were cleaned promptly so the rug was removed even when it was in great shape in all other ways. I also have two Potterybarn wool rugs and they shed terribly. Warm and comfortable to the feet and stains clean easily, but always look a little messy unless you have just vacuumed them. I would like to get the Heathered Jute Chenille Rug you mentioned from Potterybarn, but when I went to look at it in the store, the sample looked very orange tinted. I was concerned about the color and the clerk told me she had no idea what mine might look like if I ordered one, so I didn’t. Can you share about the color tone of yours? It looks beautiful in the photo, but I know photos tend to change the tone of colors. Thanks Kristi! It sounds like you’ve run into similar problems with your wool rugs. I loved how soft mine was but I just couldn’t live with the shedding any more. I’m sorry that you had a bad experience with sisal. From the research I’ve done, sisal does stain easily. I’m thrilled with my seagrass but your husband may not like the feel of it on his feet. It’s supposed to be softer and smoother than sisal so maybe it would be ok.
As far as the Heathered Jute/Chenille rug, the color you see in the photo is pretty true. I don’t see any hint of orange in the rug that I got. It’s always tough though when you are spending money on something like a rug. You want to be sure you are getting your money’s worth, and the right color. 😉 I can honestly say that I am happy with the rug, color and material. Hope that was helpful. Once again I am with you on a subject…I do not love rugs, and really like a clean look. We bought a tan natural fiber rug for the living room and threw it out after 5or 6 years. It was looking a bit dirty to me. Now we have an even bigger one and I went with Ivory tones…love it. They are priced well so I don’t mind tossing them if need be. We have not had a dining room rug for years but I have been thinking of one, going with the ivories again. I really like your idea of layering and could add in some seasonal rugs for that. Have always wanted a red/ivory stripe at Christmas but did not want to buy a big one just for a couple of months…this is a great solution, thanks. I researched before we bought the seagrass rug but I wasn’t sure how long it would last. I thought it would get dirty quickly but that hasn’t happened so I’m hoping it lasts several more years. You are right though, they are priced well so it’s not a huge loss when it has to go. Ivory tones sounds really nice and if you want to layer it with a red rug for Christmas, it would look lovely. Thanks so much for stopping in and sharing, Jillian! Hope you have a great holiday weekend! Eeek, shoe polish would be tough. I haven’t found anything that stains the seagrass so I’m really happy with it. Thanks for visiting Debbie! Hope you have a great holiday weekend! I love the look of natural fiber rugs. I used to have a jute rug under my kitchen table but it got stained over time. I have a wool rug in my living room and it still looks brand new. I haven’t had too many shedding problems but now that I want to change the colors in there, I really can’t because I feel too guilty getting rid of a rug that I spent so much money on! I guess it’s staying for now. I have been looking for a new rug for my family room and have considered that Heathered Jute/Chenille Rug from Pottery Barn. I have been hesitant because of my golden retriever so we will see. 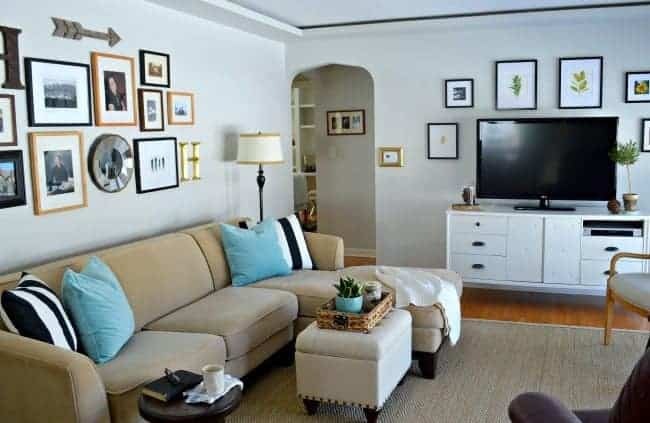 It looks beautiful in your home and I love how you layered it! Thanks Shelley! I know what you mean about changing colors when you have a wool rug. I wanted to change it for the longest time but felt really guilty, just like you. The hubs wasn’t too happy when I finally switched it to natural fiber but I love the versatility. I really love the Heathered Jute/Chenille rug. I wasn’t sure about it either, I’ve heard it can shed and we have a dog, but it has held up well. I’m enjoying the layered look right now, too. A fun change of pace. Kristi, once again you have hit the nail on its head. I love your advice on rug selection. Everything in your home is so lovely. I recently heard someone say “good things come in small packages” which is certainly the case of your home – beautiful what you have done with it. Look forward to your next post. Awww, you are too sweet. Thanks so much, Marjorie! I’m just glad I can share some of my experiences with all of you. I love that you all share your awesome comments here because I learn from you as well. I’m looking at rugs currently and have been torn between natural fiber and man-made softer offerings. I have a shag area rug in my bedroom that thankfully does not shed and it’s there so my dog’s feet have something to grip when she jumps on the bed. I have new laminate floors and she (all 77 pounds of her) became fearful because of slipping and falling when she tried to get on the bed. I have selected a natural fiber rug for my dining area and now need to choose something for my living room. There are almost too many choices so I’m kind of stuck right now. Thanks for your post with your thoughts and experiences. I know what you mean about too many choices, Pat. That’s one of the reasons why I wanted to share this, to help whittle it down. Maybe just a little?